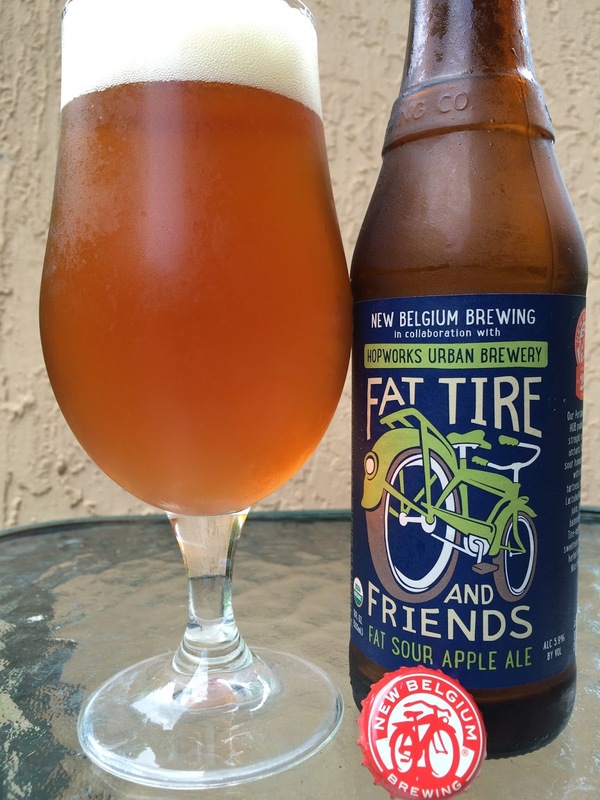 Today I'm checking out the Fat Tire & Friends collaboration beer with Portland, Oregon's Hopworks Urban Brewery. 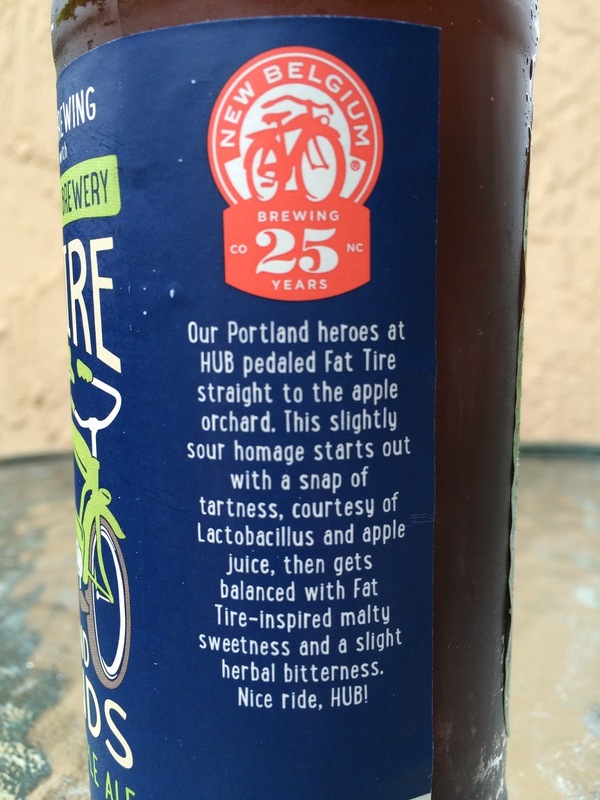 HUB decided to use apples and go sour with some lactobacillus with their entry. 5.9% alcohol. Tart apple aroma with a malty backbone. Nicely tart Granny Smith apple flavors to start. Malty, grainy, herbal sweet balance. Not sour. Definitely tastes like Fat Tire with a fun and innovative twist that adds some character.